While I remember the big fires in Yellowstone back in 1988, all I thought about back then was why did they let it burn and that the park would be ruined for generations. Living in Colorado, I have seen first hand the devastation caused by well-intentioned but misguided wildland fire management. Whether we like it or not the forests need to burn on occasion as nature intended. It creates healthier forests both for the trees and for the wildlife that inhabits these forests. I am reminded of this daily as I gaze to the foothills above where we live and see the scars of the Waldo Canyon fire from three years ago. During our recent visit to Yellowstone, I have never seen healthier, more vibrant trees than in the areas that burned almost thirty years ago. No beetle kill or any other signs of distress, just a verdant blanket of green stretching across the hills. In the scene above, taken along the Lewis River in early morning mist and fog, you can see survivors of the fire alongside burned trunks that even after this long have yet to fall. In the background is the new growth, signaling renewal and rebirth. Hopefully, within the next thirty years we will see the renewal of the Colorado forests that I so cherish. 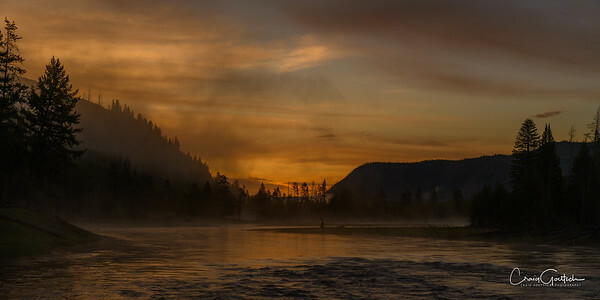 Early morning mist rises and clears along the Lewis River in Yellowstone NP. This photo is copyrighted by the artist. All rights reserved. Unauthorized use prohibited. 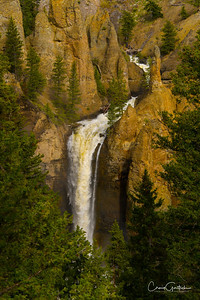 Yellowstone is such a fascinating place. 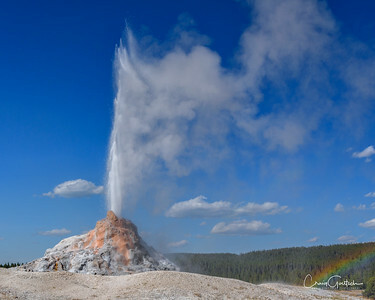 Besides so many different kinds of wildlife and fauna is the unbelievable beauty and drama of the landscape affected by the geothermal activity occurring below the surface of the park. Here small "geyserettes" (definitely not a real word!) spew forth bits of mud and foul smelling steam, reminding us of what lurks beneath.